Available Individually or BUY ANY 2 AND SAVE! Inspired by the tools from his grandfather's shed, this range of stylish and exceedingly well made tools not only look beautiful, but will perform superbly too. 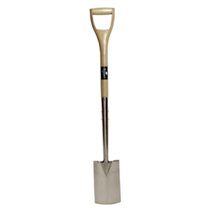 They have been built with the gardener in mind, the way tools used to be in years gone by, before many traditional methods were abandoned in favour of mass manufacturing. The handles are made of ash, which is tougher, longer-lasting and better-looking than tropical wood, and causes less vibration than fibreglass or metal. The beautiful mirror-polished stainless steel heads provide better rust resistance and ensure less soil adhesion than a regular paint coating. 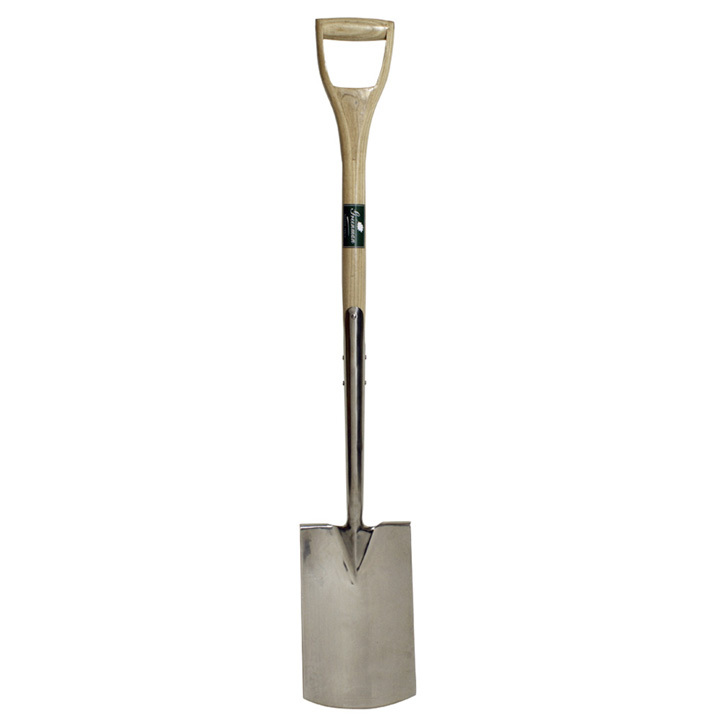 Border Spade - This superb tool has a longer than average split ash handle with five separate rivets at key locations and extra strong, extra long lipped sockets for superior strength. 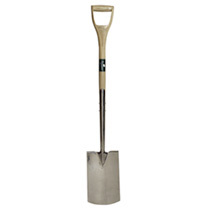 The border spade, with its narrow head, is ideal for use around established border plants. Length 100cm (39½"). Head Measurement 14cm. 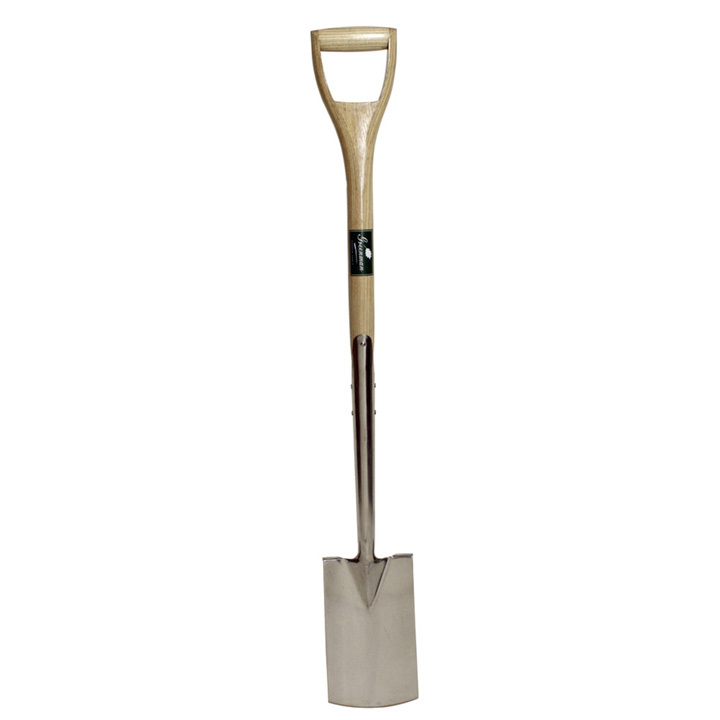 Digging Spade - This superb tool has a longer than average split ash handle with five separate rivets at key locations and extra strong, extra long lipped sockets for superior strength. Length 108cm (42½"). Head Measurement 18cm. Border Fork - This superb tool has a longer than average split ash handle with five separate rivets at key locations and extra strong, extra long lipped sockets for superior strength. 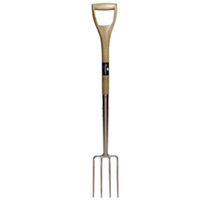 The border fork, with its narrow head, is ideal for use around established border plants. Length 100cm (39½"). 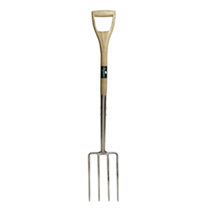 Digging Fork - This superb tool has a longer than average split ash handle with five separate rivets at key locations and extra strong, extra long lipped sockets for superior strength. 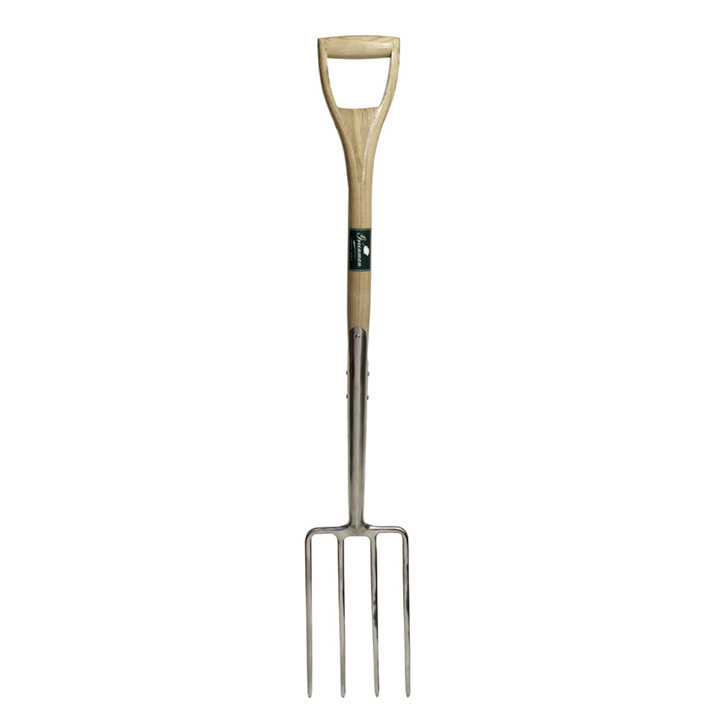 Length 108cm (42½").